Surfer turned environmentalist, Dave McLaughlin of Clean Ocean Access, took his idea for a cleaner ocean and made it a reality. “A thriving environment and a thriving economy go hand in hand. Clean Ocean Access is here to be a leader for the environment and create an environment that is welcoming to new families, new businesses and opportunities. 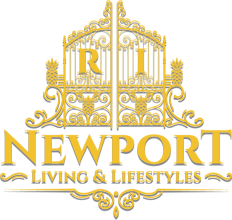 Hi Everybody, Christon here with Newport Living and Lifestyles. We are here today with Dave McLaughlin of Clean Ocean Access. Dave tell us today about how you got started and a little bit about Clean Ocean Access. Right. Right. So in 2006 we were surfing off the cliff walk at Ruggles and we got out of the water and we were told that we were not allowed to park on the street. They did not want us accessing the shore line and that really wasn’t fair and it was a concern and then that summer we had a lot of water quality issues at the beach and so we realized that we needed to do something about it so at that time a group of guys, like 20-25 guys or so… I did read 27, that’s a lot of guys. We decided we do nothing, we join a like-minded group or we start our own. So we decided to start our own organization and that was the summer of 2006, a few weeks later we were contacted by a group that asked us if we wanted to run a beach clean-up. We said sure why not, we could meet a few people. We were not really thinking about beach clean ups. That was our first beach clean-up and since then we have done about 600 of them. 600 !? A lot has happened in the last 12 years. I do want to talk more about that, because I did participate in a couple. Tell me about the acronym C.O.A. – Clean Ocean Access. Right. Right. Part of the thing when we decided the name of the group, we had all these other crazy names of what to call the organization (We might want to know about those too!) We do have a list of them. We decided on Clean Ocean Access because the cleaning program is about eliminating marine debris (OK). That is not only behavior change like bringing a reusable bottle , advocacy like getting rid of plastic bags, working with the schools on education. The ocean program is about water quality both the kind that you drink and the kind that you swim in, because both are super super important. The access program is about protecting public access and expanding public access to the shore line. If I could rename the group it would be called Access A Clean Ocean, but we went with Clean Ocean Access. You know it’’s great because it explains exactly what you trying to do. they are attached to a dock and land. 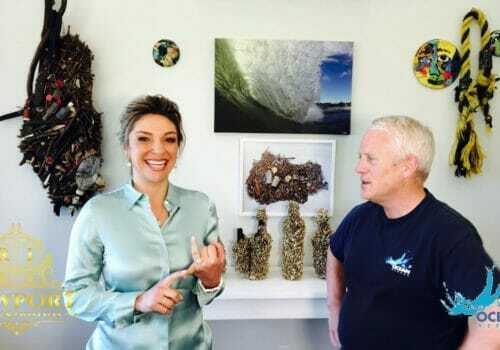 It is a great educational opportunity to educate, inspire and empower people to make better choices on land (OK) Marine debris is a solvable problem and starts with people making better choices on land. We have four trash skimmers on Aquidneck Island. One at Fort Adams, two at Perotti Park in Newport Harbor and one up at New England Boat Works in Portsmouth. Wow, and approximately how much do they skim? On an average day they skim about 25-50 pounds. You’re kidding?! That is a lot! Even though some of it is mixed in with seaweed that has reached end of life, you go through the material you will find 100’s if not 1000’s of pieces of tiny pieces of plastic, light bulbs , straws and napkins and things like that. So starting on land you can prevent this stuff from entering the ocean. Yes, absolutely. That is the whole thing, marine debris is a solvable problem. Tell us how people can help out and how can they be involved? We are a volunteer based organization, we have a small team of five that manages 100’s if not 1000’s of volunteer activities every year. You can go to our website www.CleanOceanAccess.org and you can send us an email at info@CleanOceanAccess.org and you can always stop into our office. We have an open door policy. The secret sauce of Clean Ocean Access is that we need people’s time, treasure and talent. If you have a skill, like if you are really good at fundraising or good at financing or marketing or search engine optimization, you can volunteer and bring that talent to our organization and join a committee. You can also help with fundraising! If you love the ocean and you have grandchildren and you want them to enjoy the ocean in the future, you can join our COA1000 campaign, where we are looking for 1000 people to make a donation of $100 a year. (That sounds reasonable) $.27 a day. It’s a quarter and two pennies a day. That is one way that you can help. You can also volunteer. All of our volunteer opportunities are fun, easy and impactful. There is always a start time and a finish time; you can come out to a beach clean-up, you can adopt part of the shoreline, you can monitor access points, you can help table-ing at events, you can come to Cappy’s and help with guest bar tending. You can volunteer at World Oceans Day. You do have a lot of events coming up and I see them all listed on your website. 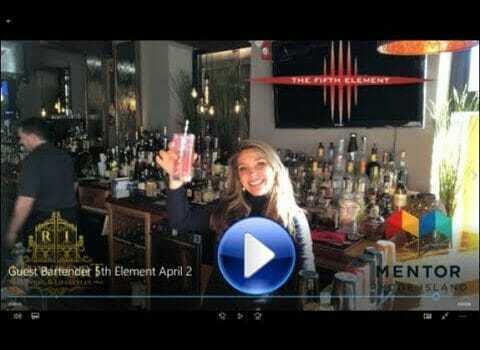 All the events are on the website. We also have a social media. The Facebook, The Instagram and The Twitter! Like, Like, Like. Share, Share, Share! If somebody wants to write a check today, to you. I’d say YES! Write it out to Clean Ocean Access. Our address is 23 Johnny Cake Hill Middletown RI 02842. We really appreciate the community support. The organization grew to the point that we did have to become a nonprofit and we do so much work that we have to have a great staff and team to manage all of it. Fortunately, we do have a great team and we have continued to do great work. Yes, they are all here today! You just cannot see them! Say HI everybody! If you think about it a thriving environment and a thriving economy really go hand in hand. We are here to make sure that we are a leader for the environment and that we create an environment that is welcoming to new families, new businesses and opportunities. We are the Ocean State so we have some responsibility. I love that. That is fabulous! Thanks for having us today to tell everybody about your project and what you guys are doing and how to be involved. Thanks for sharing our message.